Whether you are implementing a new Family Practice EMR or replacing your current EMR, choosing an EHR is one of the most important decisions you will make for your family practice. While EMR implementation takes time and resources, it can change the way your services are delivered and yield fundamental change in both clinical and business outcomes. Identifying the right family practice EHR is more than a mere purchasing decision; rather, it is a strategic measure which should align with your overall practice strategies. 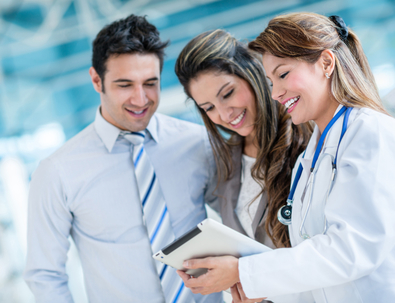 In particular, cloud-based family practice EMR software offers invaluable partnership to family physicians looking to improve their practice and achieve their goals. Here are five ways a cloud-based EMR makes sense for today's leading family practices. RevenueXL provides affordable Cloud-based EMR for small and mid-sized practices. Check out our Internal Medicine EMR for Small Practices. Whether you’re switching over form paper or replacing your current EMR system, the process can be a drain on human resources. However choosing a cloud-based EMR vastly simplifies the process. Because EHR systems run on the web, they require neither hardware nor software installation. If your goal is to minimize downtime and get up and running as quickly as possible, cloud-based Family Practice EMR delivers by preventing the interruption of cash flow and yielding fast returns on your investment. Many small and medium sized family practices are deterred from implementing EHR for one simple reason: cost. Client-server systems in particular can be a significant financial drain once you factor in everything from licensing fees and maintenance costs to updates and patches. Because cloud-based EHR bypasses all of these expenses, the cost of implementation is significantly lower. Cloud-based EHR also allows for more accurate budgeting thanks to software as a service (SaaS) monthly billing. If you are like many companies, your IT department may already be operating at maximum capacity. In choosing to relocate your EHR to the cloud, you free up your IT departments to focus on mission critical tasks while the SaaS-based EHR provider handles the full spectrum of duties related to running your EHR, including installation, configuration, testing, running and security. And because updates occur automatically in the cloud, you have the additional peace of mind of knowing that you’re always running the most current version. From enhancing access to fostering collaboration with other providers, labs and patients themselves, cloud-based Family Practice EMR offers unprecedented continuity of care. Log in the system from anywhere to access and share critical information which promotes better decision making. Your practice is dynamic, which means its needs are too. Cloud-based EMR systems offer critical scalability to expand or change without maxing out your capabilities. Need to add new doctors, users or locations? Web-based software allows for seamless growth without the additional expenses involved with adjusting a static client-server system. Have you avoided a web-based family practice EMR until now because of concerns about security? If so, you're not alone. However, the truth is that web-based EHRs can actually safeguard your records better than client-server systems thanks to high-level encryption methods. Even if a breach does occur, the data is unreadable, compared to unencrypted and physically vulnerable on-site servers. Factor in threats from natural disasters, such as fires and flooding, and the benefits of secure cloud storage become even more profound. Not to mention that when a server-based system goes down due to glitches or human error, your entire system can be compromised for an extended period of time. Cloud-based EHRs don’t share this risk. Revenue XL's customizable cloud-based EMR for family physicians offers these capabilities and more in order to help you meet the needs of your practice and patients. In the years between 2006 and 2013, EHR system use increased by a staggering 168 percent from 29.2 percent to 78.4 percent. At the same time, EHR replacement started an ongoing surge in growth with many practices turning to cloud-based EHRs in order to better meet meaningful use requirements, capitalize on the mobile movement, and increase revenue. Whether you’re looking for tips on finding a replacement EHR or attempting to avoid costly mistakes when selecting the best EHR, RevenueXL can help. Schedule a free demo of RevenueXL's fully certified web-based EMR today to learn more about how this software can help you reach the clinical and financial goals of your family practice.